Jean Dion, cat blogger, makes a celebrity appearance! This summer and fall I lost both of my dogs. 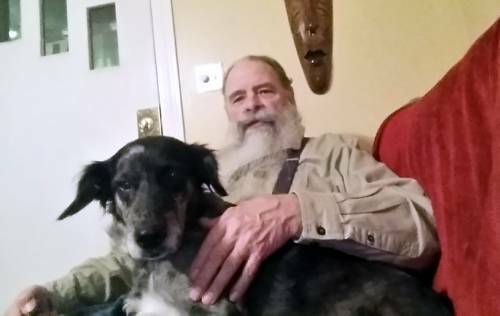 My love of dogs began decades ago when I raised service dogs as a boy. They lived with us for about 18 months, then moved on to help people who were coping with challenges, navigate through life. 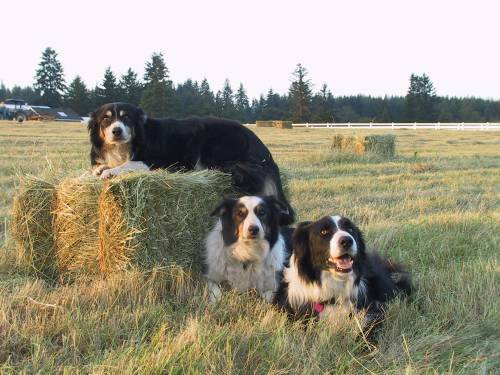 As a rancher for 15 years, I became enamored with Border Collies. Together we worked the ranch, herding cattle, sheep and goats, and competing in sheep herding competitions. Ben and his dad Bodie and brother Chuck were by my side every day. Dogs never live long enough. They could live for 30 years, and it still wouldn’t be long enough. So, as life goes, Ben was the only one left when I moved off the ranch. When I was volunteering at Willamette Humane Society, I took Daphney home for respite. She quickly became a foster failure. Daphney, Ben and I spent three years playing, taking walks, and making dog training videos. This past summer the forces of life took over again, and I lost my companion Ben. 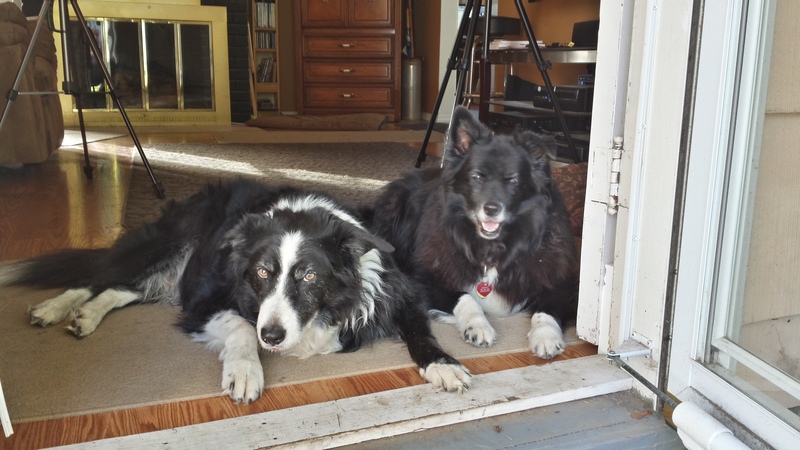 It turned out Daphney couldn’t live without him, and crossed the rainbow bridge earlier this month. I was Dog Gone Lonely. Without a dog to feed, getting out of bed was a challenge. Without a dog to walk, there was little reason to go outside. Without a dog at home, I didn’t know what to do. My friends at Willamette Humane Society encouraged me to take 11 year old Aussie mix Sally, home for respite. History repeated itself...a dog found me. Although she’d spent her life as an outside dog, Sally quickly learned to use the doggy door, jump on the couch, and sleep next to my bed. I’m no longer Dog Gone Lonely. We're a team now...in life and on the agility course. 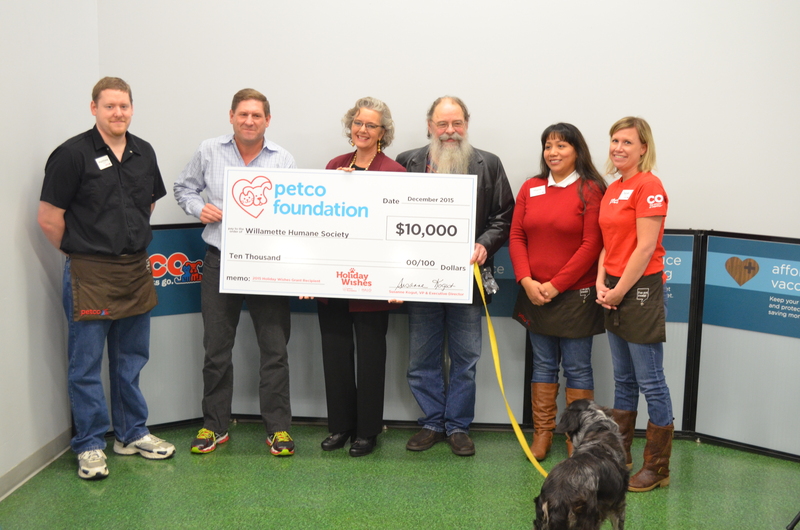 SAN ANTONIO (Dec. 9, 2015) – Today, the Petco Foundation, in partnership with Halo, Purely for Pets, announced the winners of its third annual “Holiday Wishes” campaign which helps dedicated animal welfare organizations succeed in their mission to save pets’ lives. 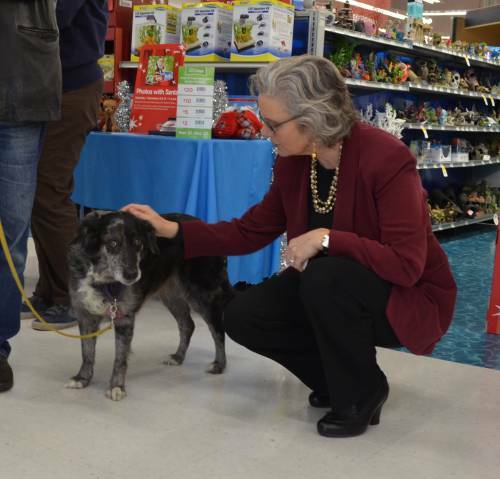 This year marked the first time the campaign was open to the public and pet adopters were invited to nominate the animal welfare organization where they adopted their pet by submitting their personal adoption story online at petco.com/holidaywishes. More than 3,000 stories were submitted and the Petco Foundation increased this year’s total grant amount to $750,000 to award 53 winning stories, up from $500,000 in 2014. The animal welfare organizations referenced in the stories as the adopting organizations will receive grants ranging from $5,000 – $100,000 to celebrate their lifesaving work. Halo, Purely for Pets and partner Freekibble.com will also provide each of the top five winners with 10,000 bowls of Halo natural pet food for their shelter, and $500 worth of food for their own pets. In addition, adopters whose stories were awarded the $25,000 grants will receive $250 worth of Halo food. While the stories submitted range from humorous, to poetic prose and even a few lifesaving narratives, all of them celebrated how these adopted pets have changed and enriched the nominators’ lives. “Halo is proud to partner with the Petco Foundation and support the incredible work they do helping shelters and rescues make a difference in their communities and facilitating lifelong relationships between people and pets,” said Halo CEO Steve Marton. For more information on the Petco Foundation Holiday Wishes Grant Campaign, and to read the winning stories, visit www.petco.com/holidaywishes. Join the conversation on Facebook, Twitter and Instagram or by using the campaign hashtag, #HolidayWishes2015. For more information on the Petco Foundation, visit www.petcofoundation.org. At the Petco Foundation, we believe that every animal deserves to live its best life. Since 1999, we’ve invested more than $135 million in lifesaving animal welfare work to make that happen. With our more than 4,000 animal welfare partners, we inspire and empower communities to make a difference by investing in adoption and medical care programs, spay/neuter services, pet cancer research, service and therapy animals, and numerous other lifesaving initiatives. 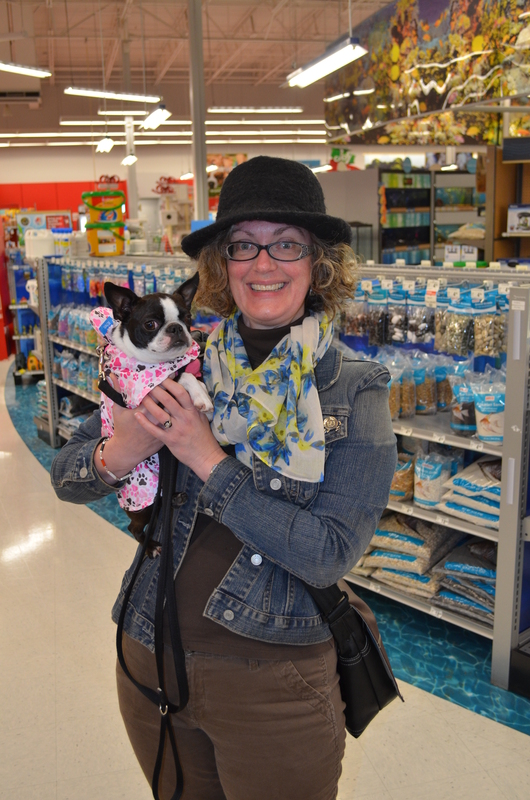 Through our Think Adoption First program, we partner with Petco stores and animal welfare organizations across the country to increase pet adoptions. So far, we’ve helped more than 4.2 million pets find their new loving families, and we’re just getting started. Visit petcofoundation.org to learn more about how you can get involved. Join the conversation on Facebook, Twitter and Instagram or by using the hashtag #PetcoFoundation. For more than 25 years, Halo, Purely for Pets® has created holistic pet products of uncompromising quality. Halo believes nutrition is the single most important factor in the quality of a pet’s life. When you choose Halo, we feed it forward, donating over 1.5 million meals to shelter pets annually, in partnership with Freekibble.com. Ellen DeGeneres – a long time Halo customer – became part-owner in 2008. In 2010, Halo donated 1 million meals to shelter pets for the U.S. Postal Service Adopt a Shelter Pet Stamp Program. Halo now sponsors the acclaimed PBS series “Shelter Me,” the Olate Dogs Rescue Tour 2014-15, LoveAnimals.org, and many more animal rescue efforts. Halo’s natural dog food, natural cat food, treats, supplements and grooming products are available at Petco, Unleashed by Petco, and other fine pet specialty and natural food stores. Learn more www.halopets.com. 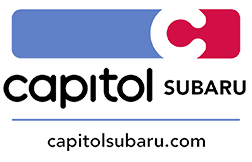 Willamette Humane Society (WHS) was founded in 1965 by local civic leaders to serve Marion and Polk counties, Oregon. WHS provides pet adoption services, shelters surrendered or homeless cats and dogs, teaches responsible pet care, behavior and training — and reduces pet over-population through its low-cost Spay and Neuter Clinic. WHS is a 501(c)(3) non-profit organization that relies on donor support and fees to accomplish its mission. It is governed by a volunteer Board of Directors and includes a 35 FTE member staff, and 800+ volunteers who serve over 6,000 dogs and cats each year. For more information about Willamette Humane Society, visit whs4pets.org.